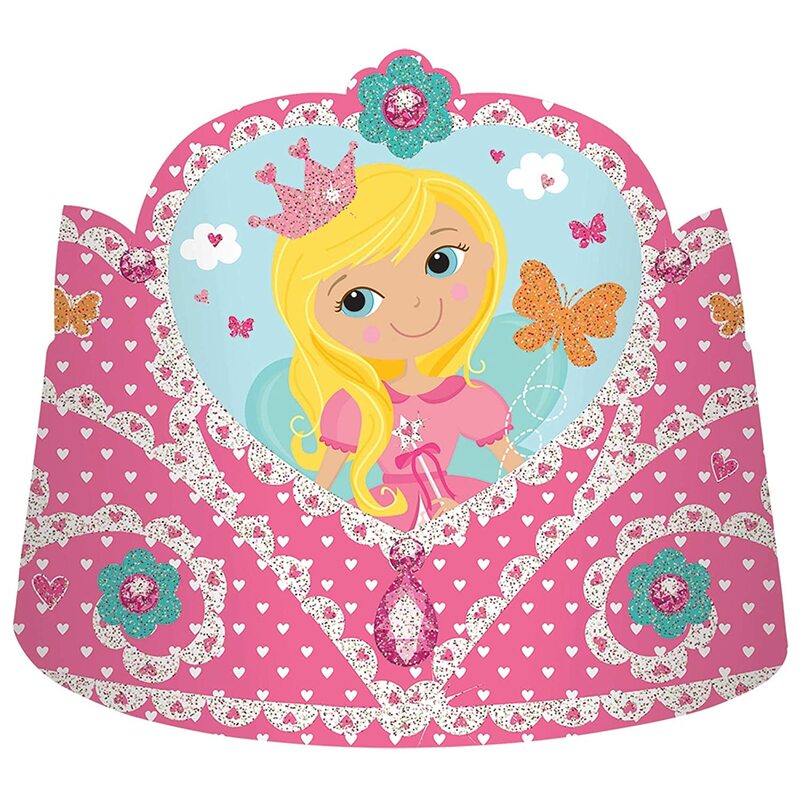 Clean up any spills with our Woodland Princess Luncheon Napkins! 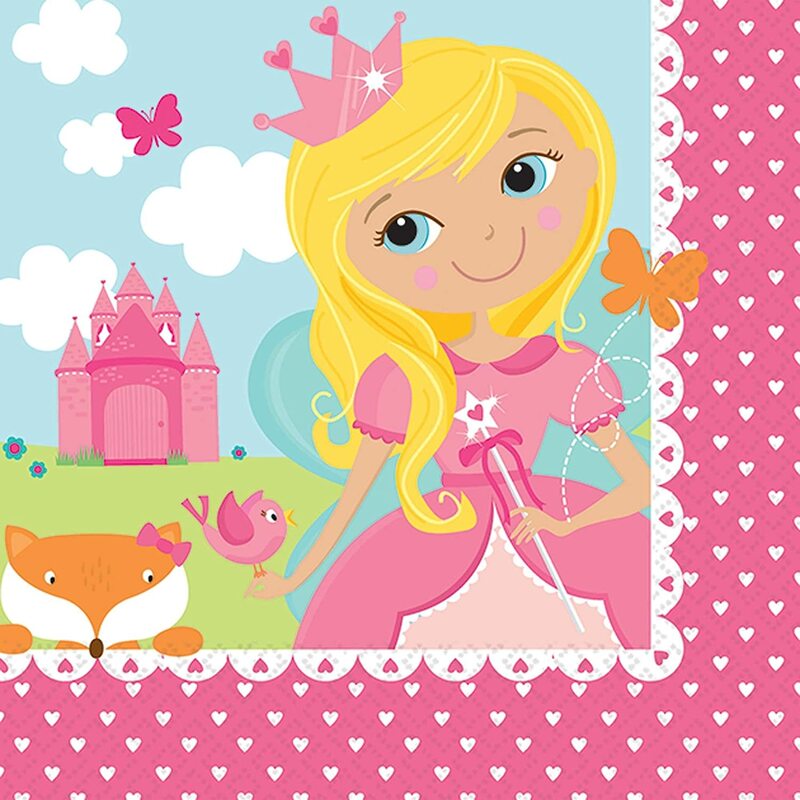 Each napkin features a pink heart dot border with a princess and woodland friends printed in the center. 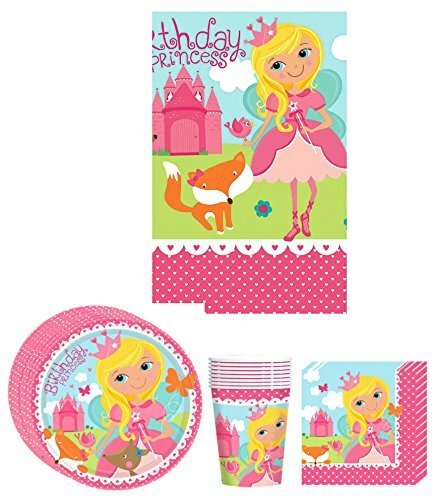 Measures 6.5″ x 6.5″. 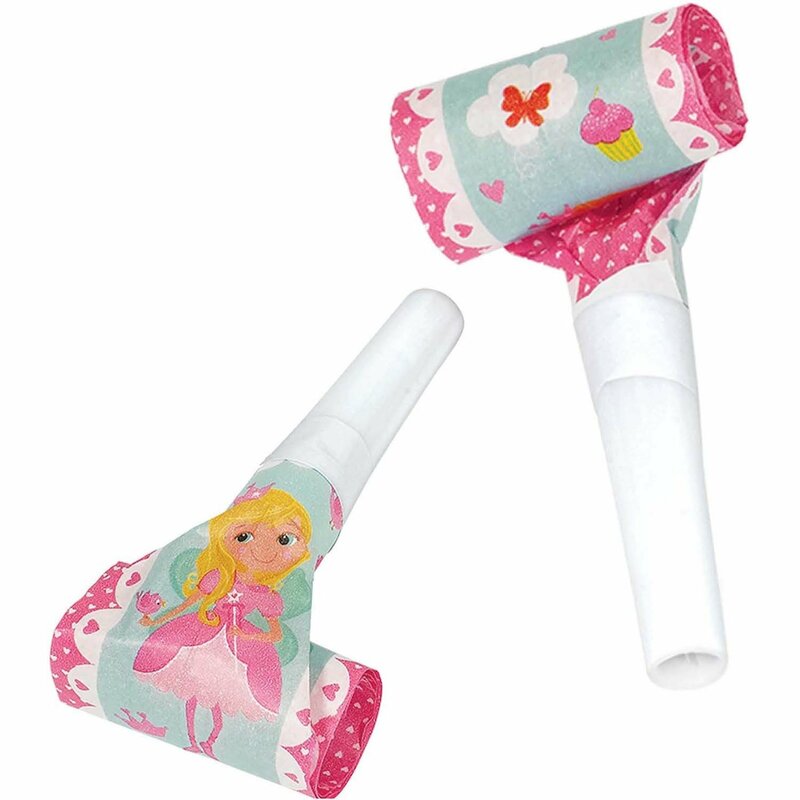 Includes 16 – 2 ply paper napkins per package. 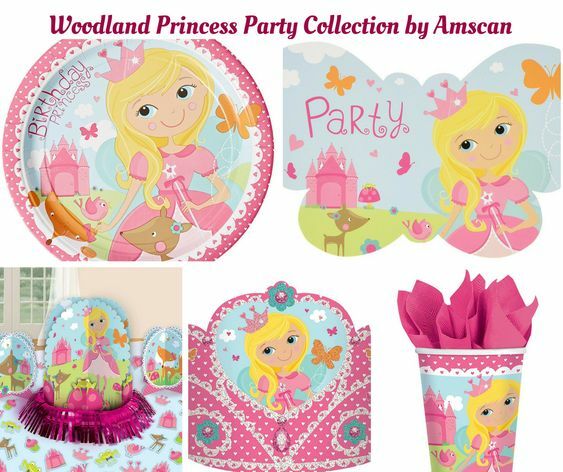 Coordinate with other Woodland Princess supplies. 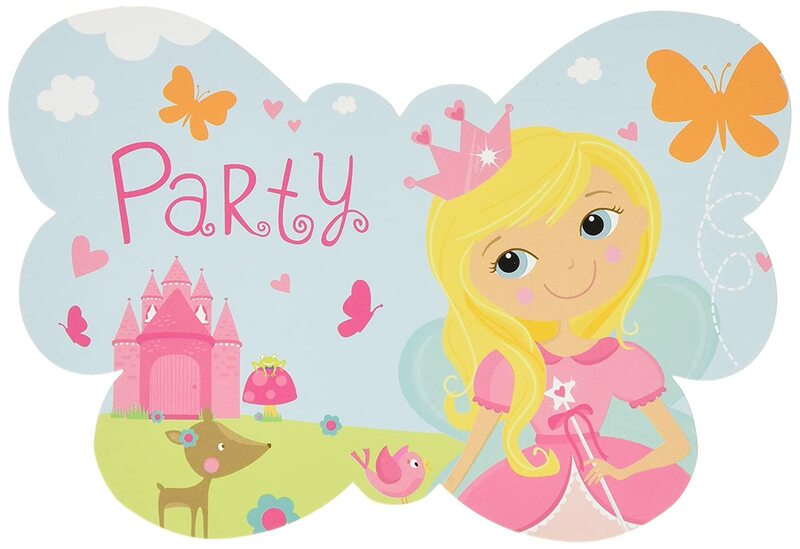 Protect your tables from any spills with our Woodland Princess Plastic Tablecover! 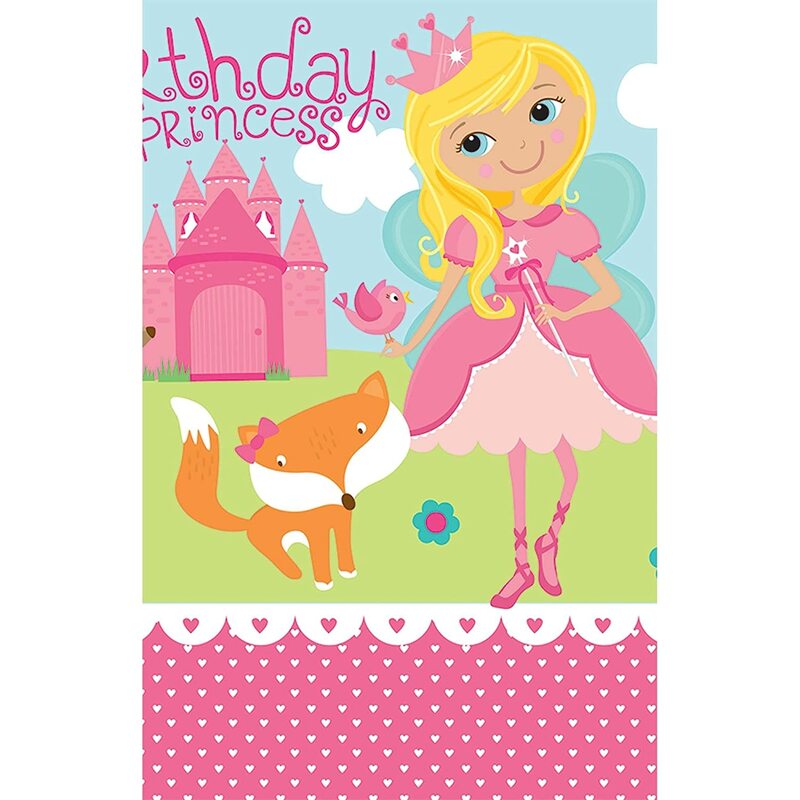 features a woodland princess border with a white and pink center of woodland creature silhouettes. 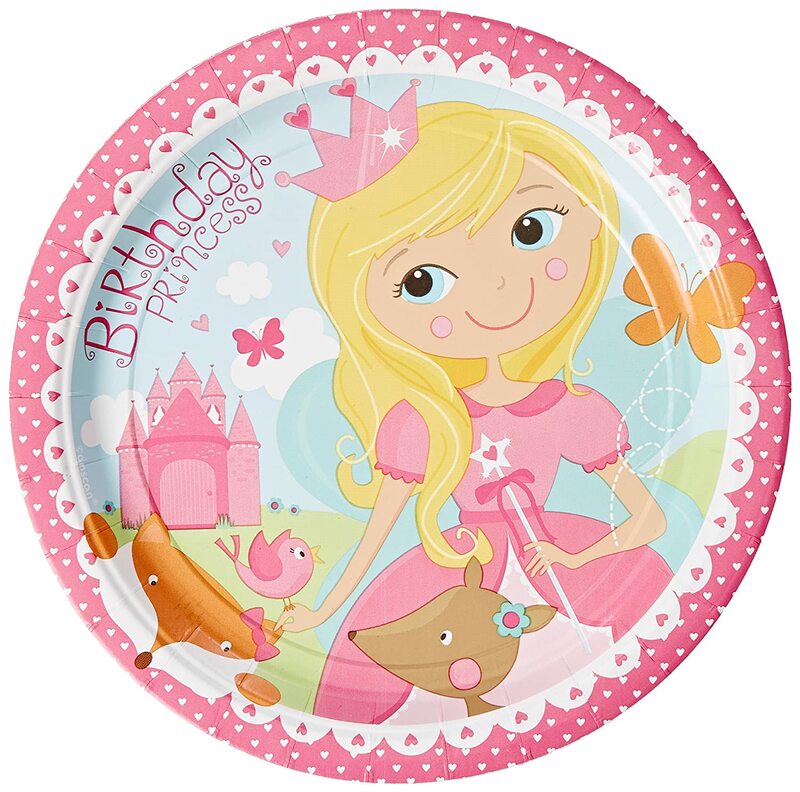 Made of durable and reusable plastic. 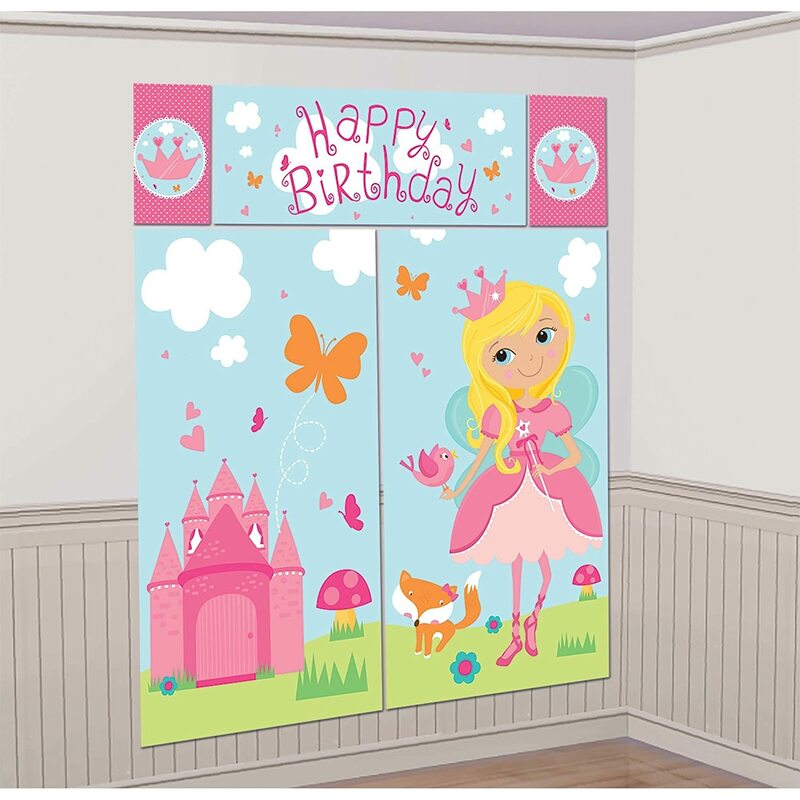 Measures 54″ x 96″. 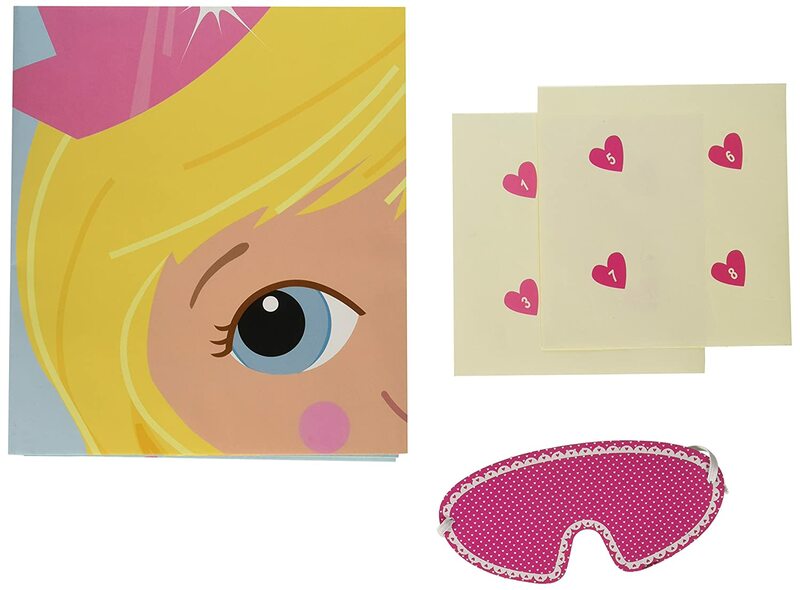 Includes 1 tablecover per package. 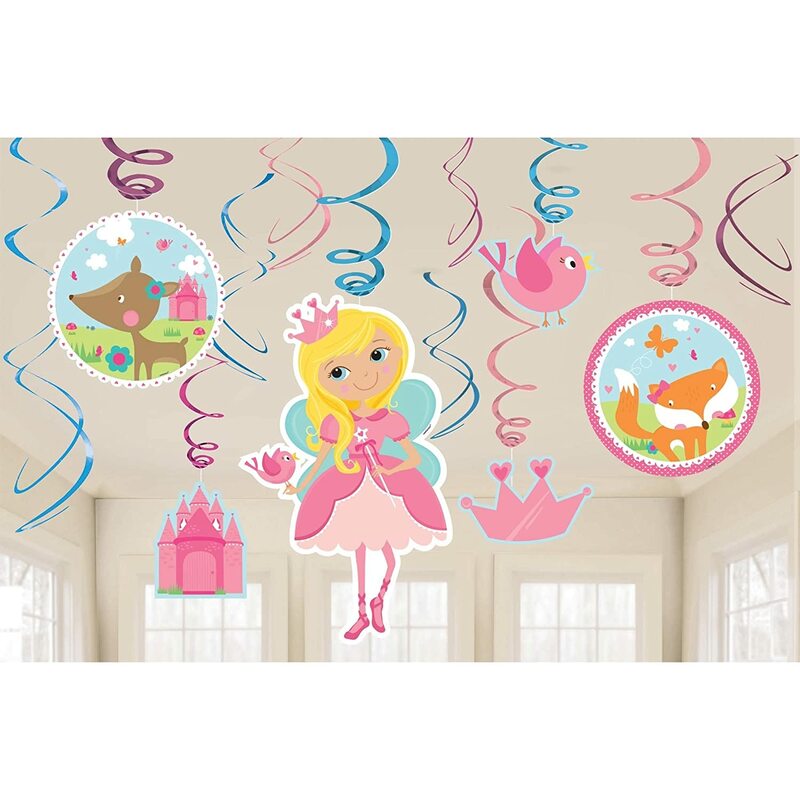 (1) 18″ Woodland Fairy Mylar Balloon. 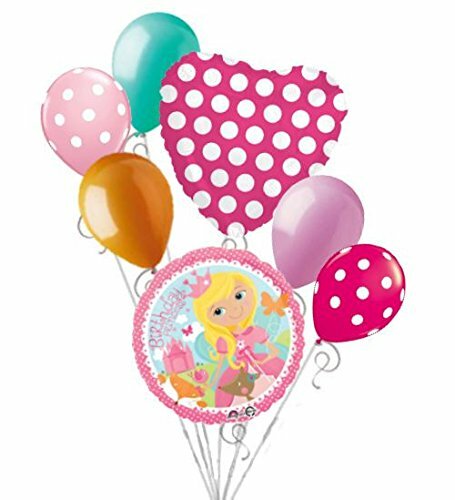 (1) 18″ Pink Heart Polka Dot Mylar Balloon. 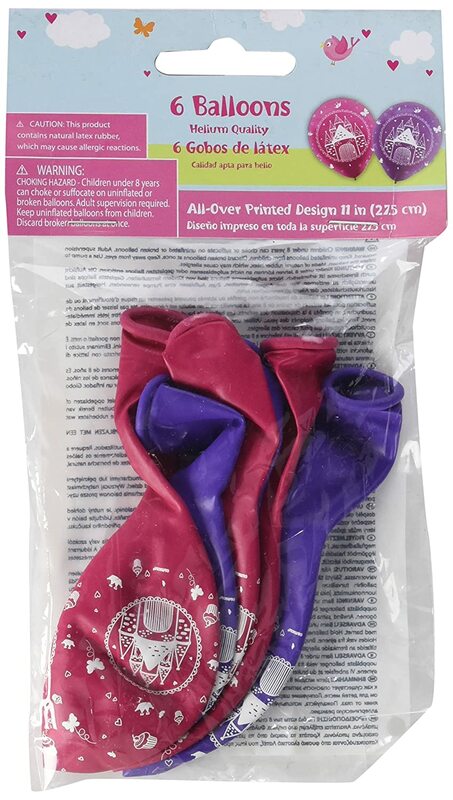 (2) 11″ Polka Dotted Latex Balloons…(1) Light Pink and (1) Rose Pink. 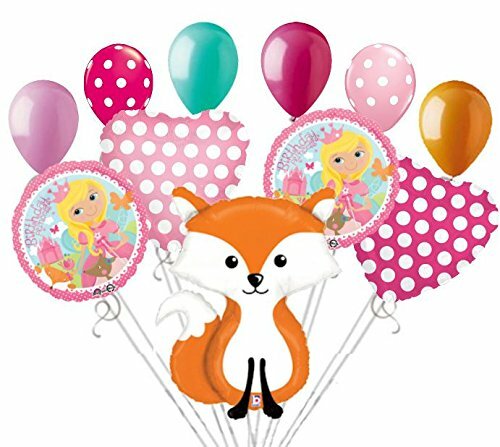 (3) 11″ Plain Latex Balloons…(1) Aqua, (1) Orange, and () Light Pink. 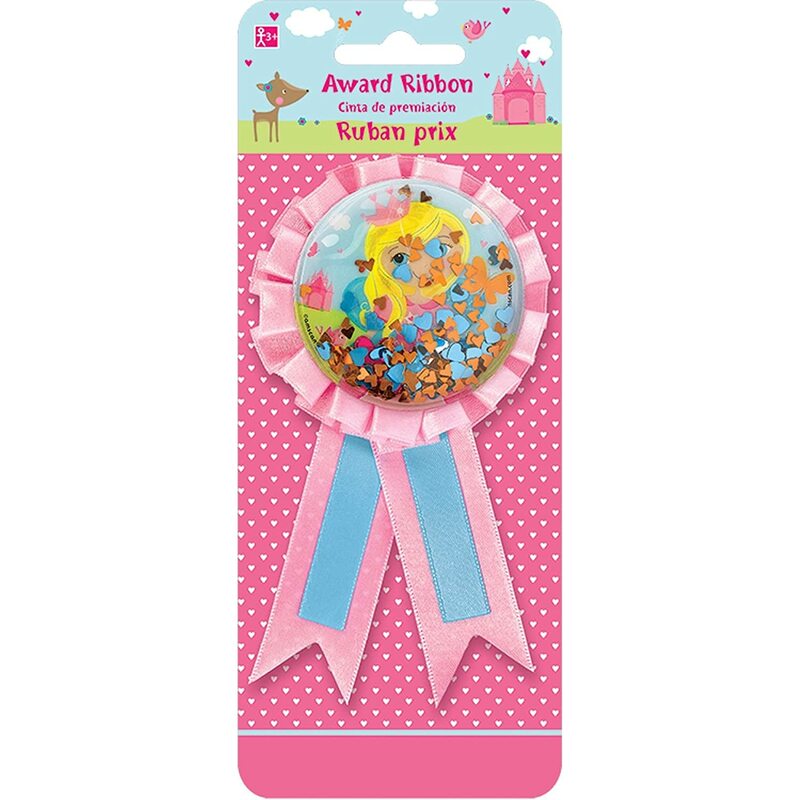 Packaged & Shipped together without helium or ribbons. 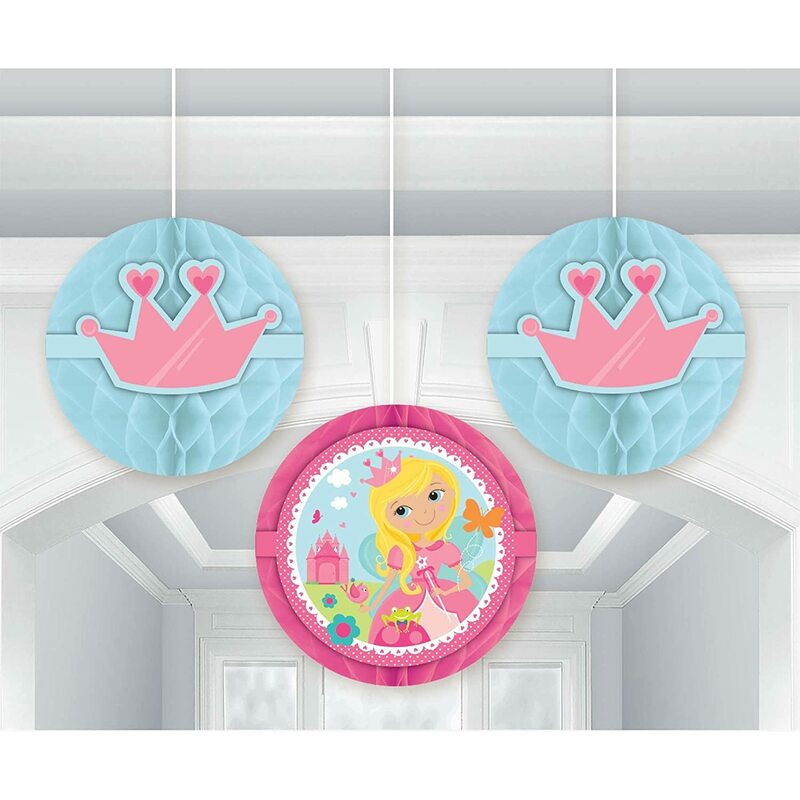 Decorate for a princess party with our Woodland Princess Letter Banner! 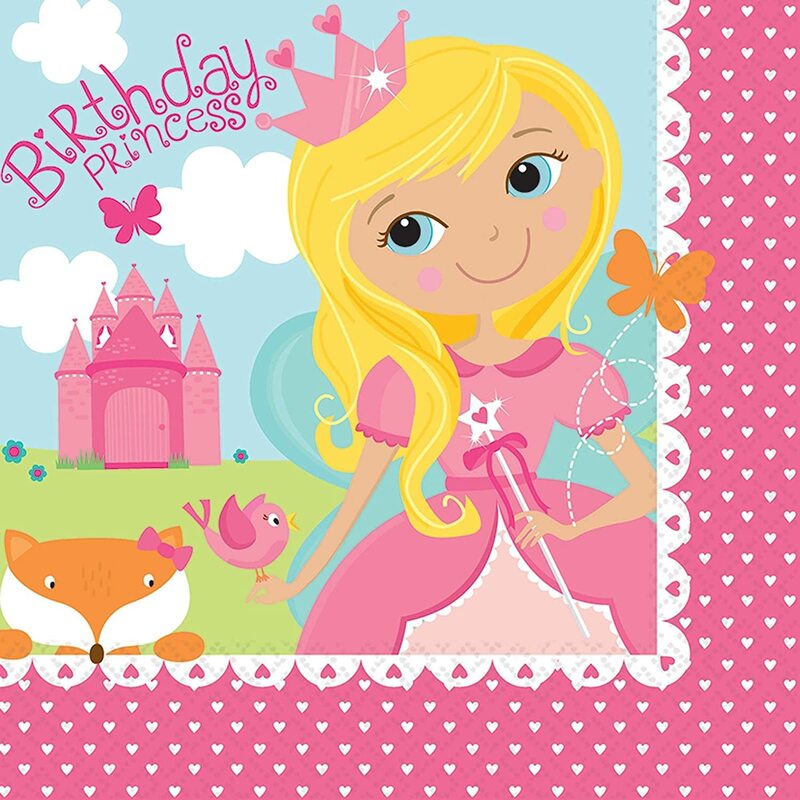 Each package features a pink letter banner with a princess, her woodland friends, and the message “Happy Birthday”. 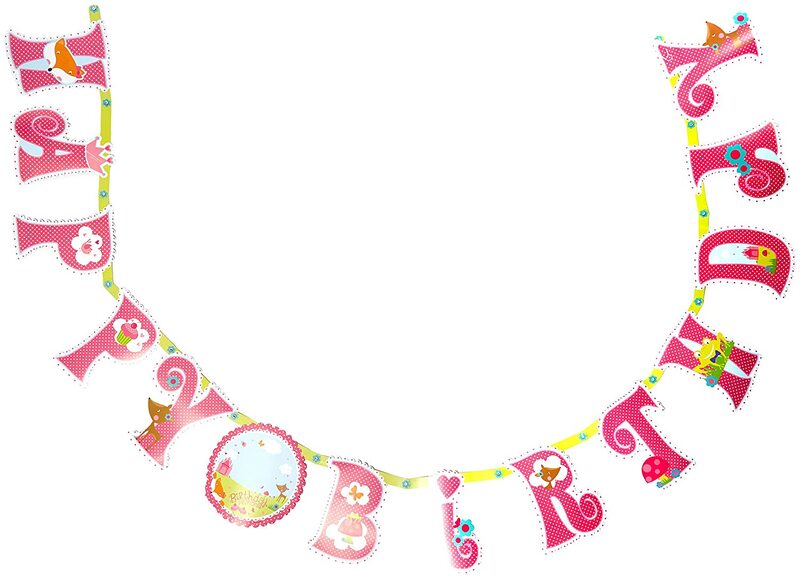 Each banner also has room to customize the age of the birthday girl! 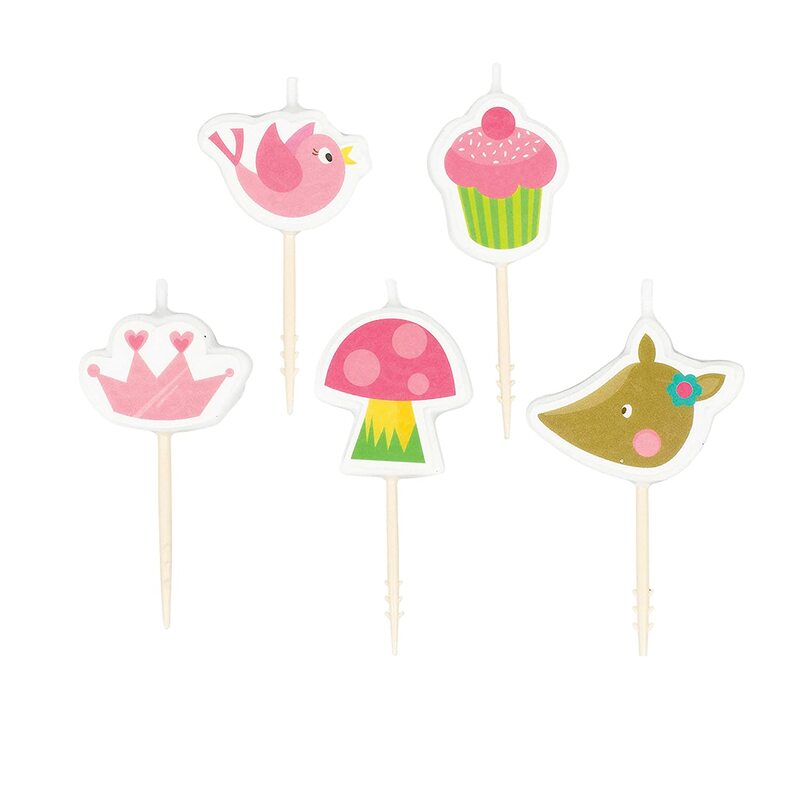 Made of cardstock. 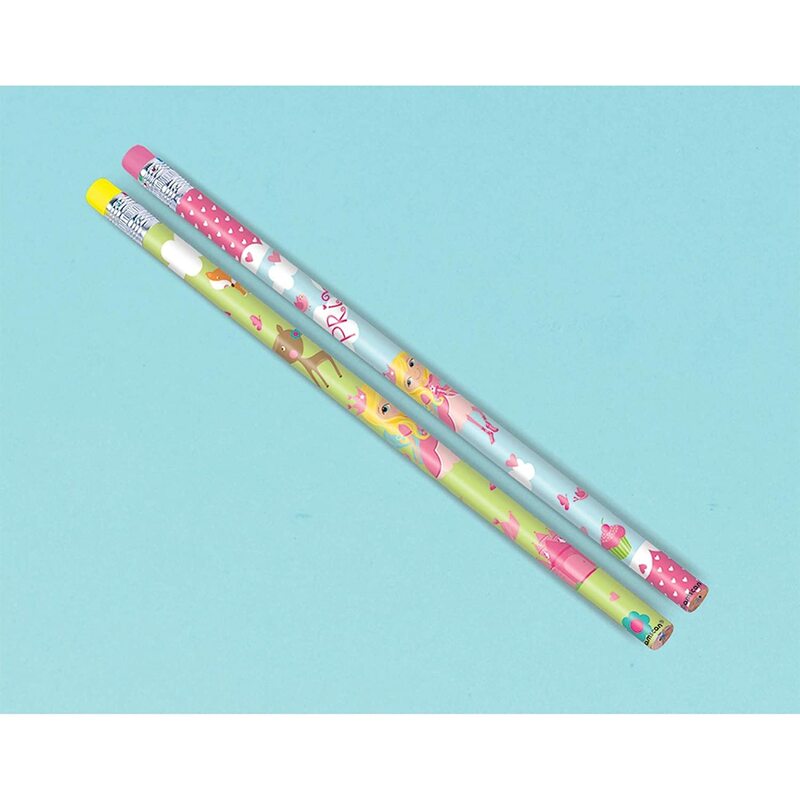 Measures 10.5″ x 10′ long. 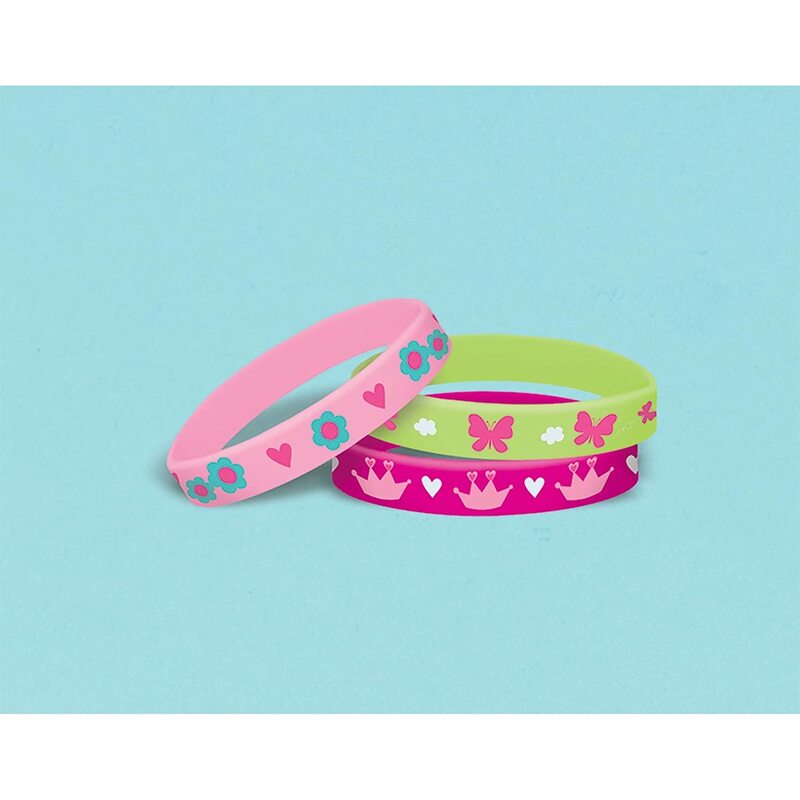 Includes 1 banner per package. 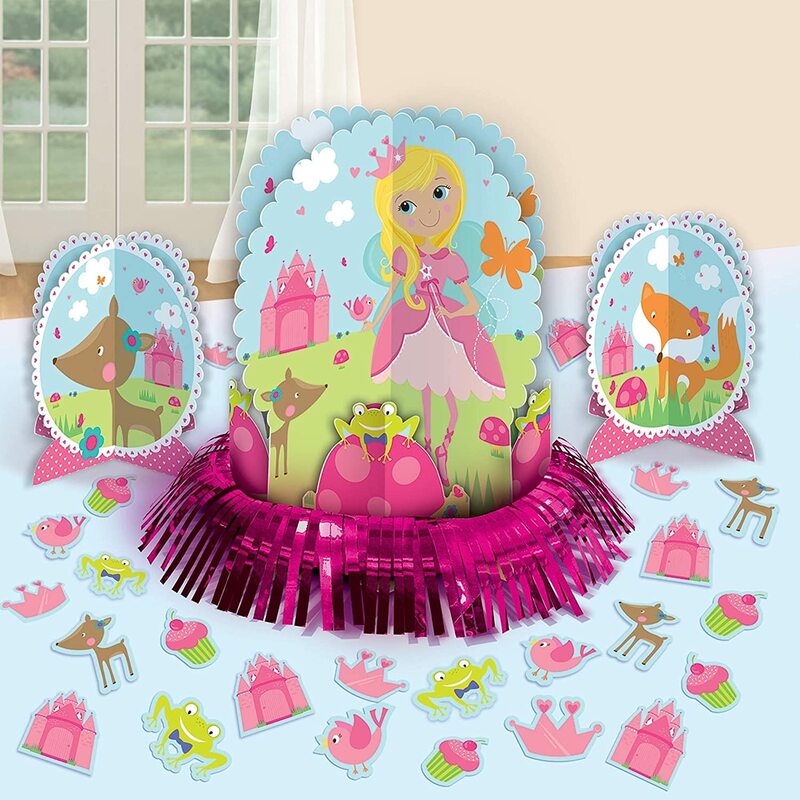 Coordinate with our other Woodland Princess decor. 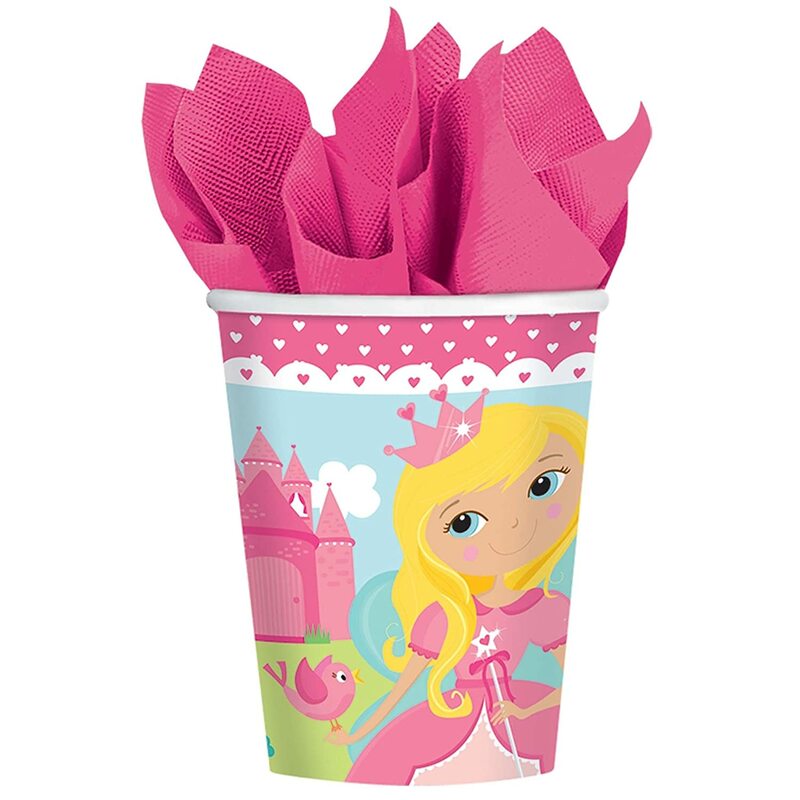 Send home every princess with our Woodland Princess Bucket filled with fun favors! 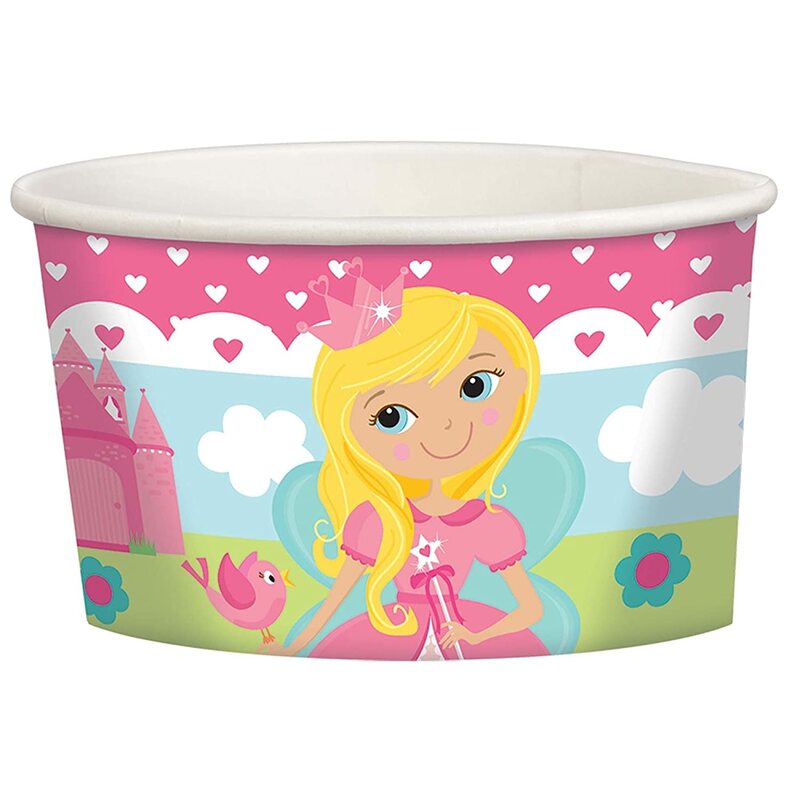 Features a pink plastic bucket with pink handle and a wraparound image of a woodland princess. Measures 4.5″ tall x 6.25″ in diameter. 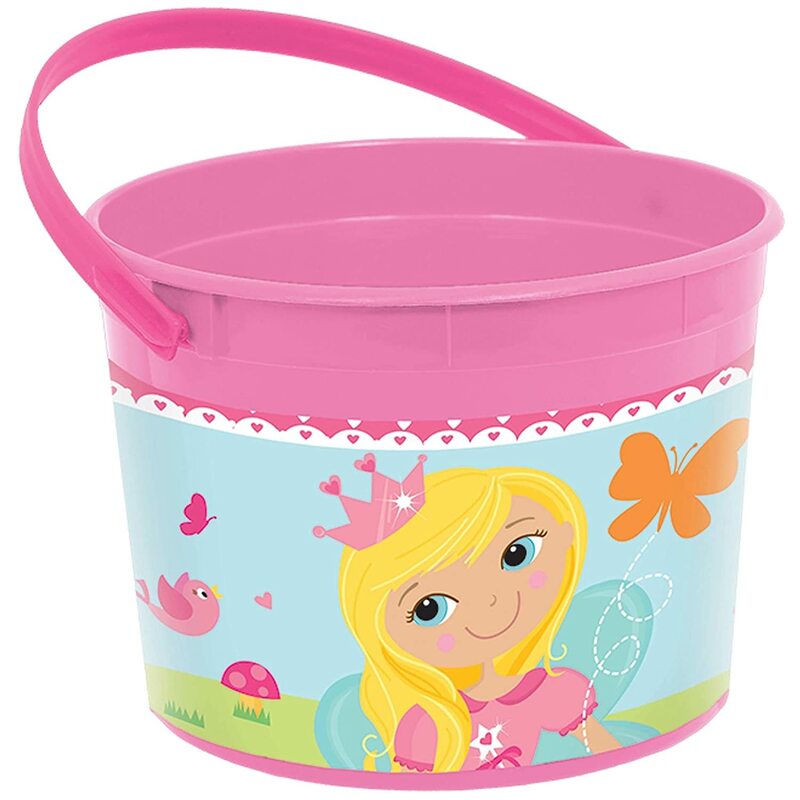 Includes 1 bucket per package. 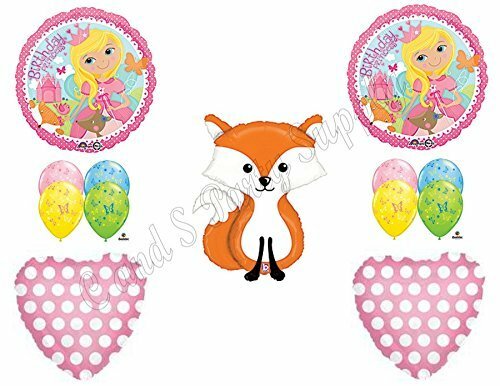 Coordinate with other Woodland Princess supplies. 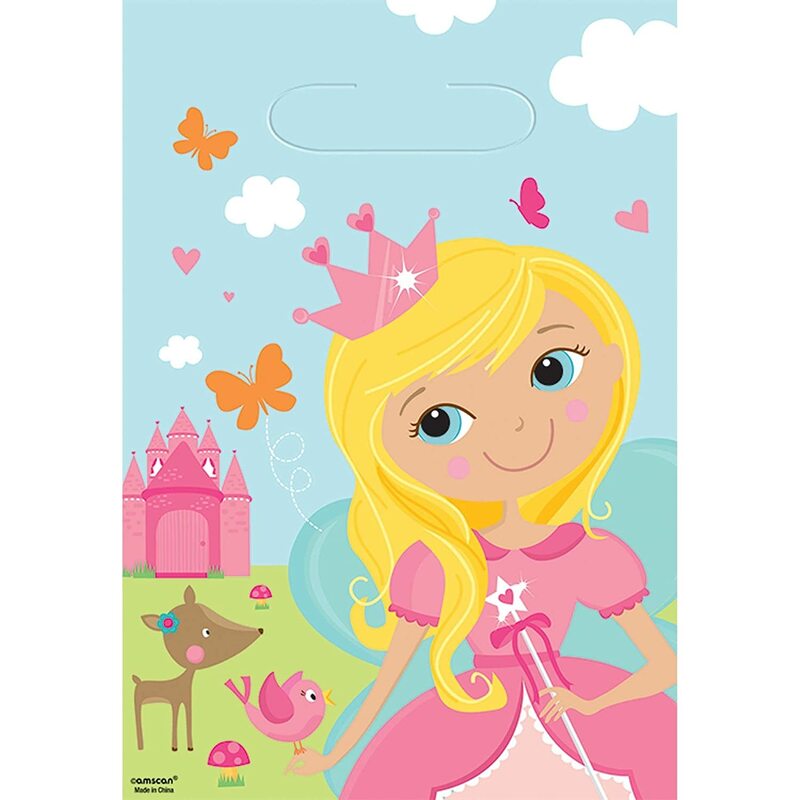 Filling your princess favor bags is easy with our Woodland Princess Favor Pack! 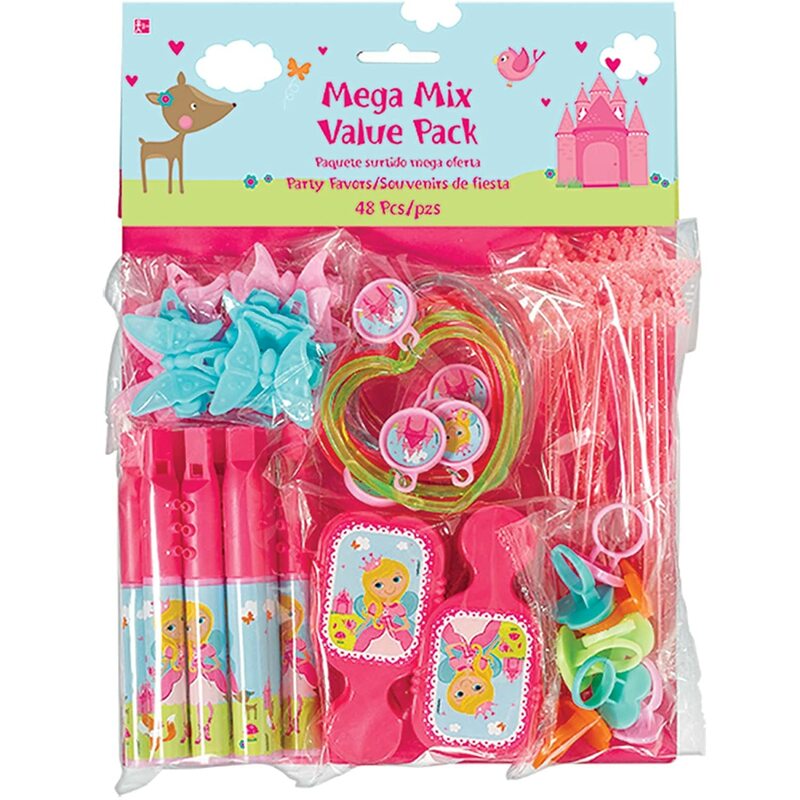 Each pack includes: 8 rings, 8 wands, 8 flutes, 8 brushes, 8 heart bracelets, 8 hair clips. 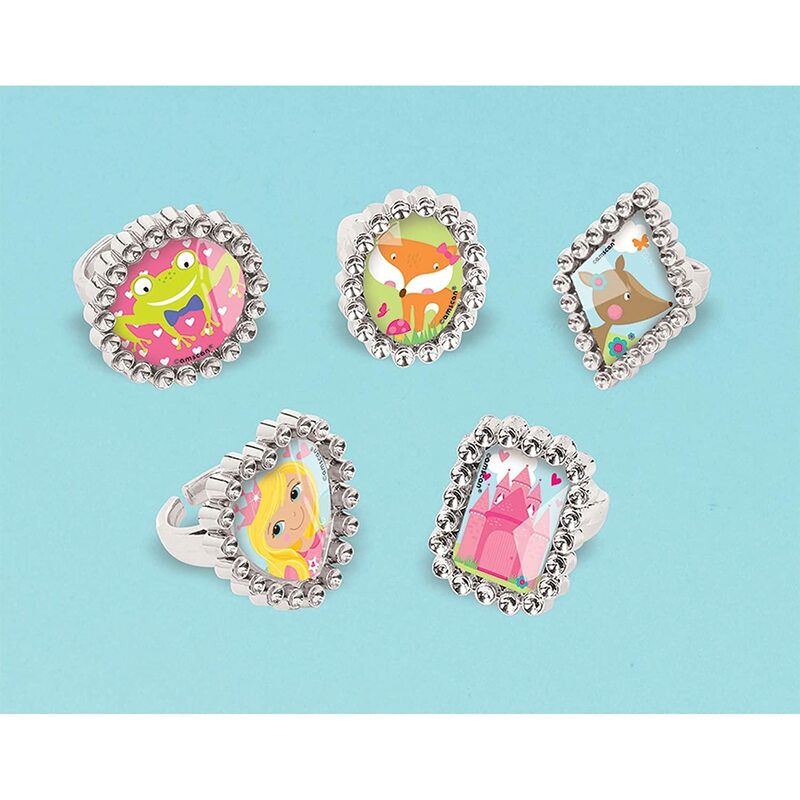 Total of 48 favors per package.